April is Customer Loyalty Month, tweeted Shep Hyken a few days back. I have to say, till then, I never realised we have a whole month dedicated to Customer Loyalty and all that it entailed. One month to appreciate the continuing loyalty and one month for a whole bunch of lessons in this so vital ingredient in any organisation’s success story! And what a better way to kick off the learning than by seeing what the great and the good have written? Before we get into the thick of it, we at HappyFox would like to thank our customers for their loyalty and custom. Every day, chez HappyFox, has been spent in fine-tuning our product, ensuring our quality of service is always top-notch and listening to our customers’ feedback to make sure that it remained so. So, thank you, our lovely customers for your loyalty. Here’s a sobering thought: In 2014, 53% of consumers decamped elsewhere, not willing to put up with poor service. How’s that for stopping you in your tracks? Let’s see what we can do ensure that doesn’t happen to us! Of course, it isn’t rocket science – if you treat your customers nicely, they will be more than happy to stick with us. And, if you do it really well, they’ll tell everyone about it! Nothing frustrates a customer than feeling like they are talking to a wall. So, make sure your communication channels are spiffing! 3. Above all else, customers want to be heard. They want companies to provide a way for them to voice their questions and concerns – and then provide answers and drive change accordingly. — Tabitha Dunn, Concur. Transparency in everything will work wonders. When there’s no ambiguity, there’s no cause for your customers to feel blindsided. It is all very fine to map your customer journey from the end of the service provider. But unless you walk their path, chances are that you might not be aware of a few errant roots sticking out, ready to trip the unwary. 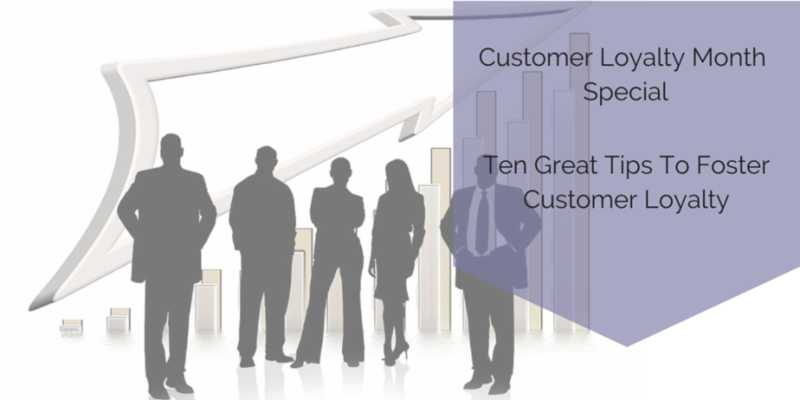 What is better than great customer service? Anticipatory customer service – which, almost always, never costs a penny but earns a lot of goodwill. You have a great product. Super! But what combines with a superlative product to result in customer loyalty? 70% of companies say that it is cheaper to retain customers than to attract new ones. And the key to customer retention? Customer loyalty, of course! So, when does a customer decide to throw in the towel and decide to sever relationship? Best to make sure that clarity and trust rule supreme, eh? Share your tips for improving customer loyalty!